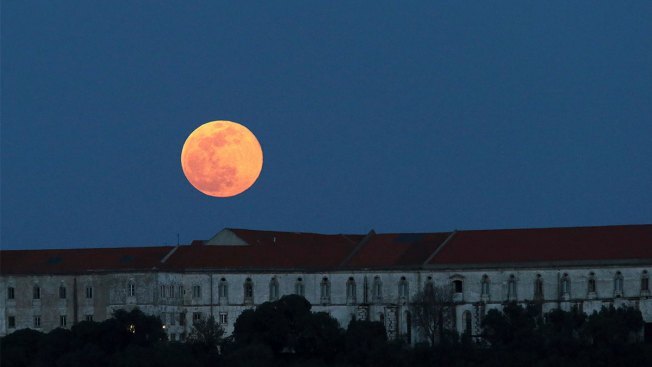 The full moon rises behind the Graca Monastery in Lisbon, Tuesday, Feb. 19 2019. The last supermoon of 2019 will be visible in the night sky Wednesday, coinciding with the spring equinox that heralds the start of a new season. The March 20 spectacle will be the final of this year’s three supermoons, NBC News reported. The first was on Jan. 21, and the second — the biggest and brightest supermoon of 2019 — was on Feb. 19. A supermoon is a full moon that has reached the closest point to Earth in its monthly elliptical orbit around the planet.